This article is about the male voice type. For other uses, see Baritone (disambiguation). A baritone  is a type of classical male singing voice whose vocal range lies between the bass and the tenor voice types. Originally from the Greek βαρύτονος (barýtonos), meaning heavy sounding, music for this voice is typically written in the range from the second F below middle C to the F above middle C (i.e. F2–F4) in choral music, and from the second A below middle C to the A above middle C (A2 to A4) in operatic music, but can be extended at either end. The baritone voice type is generally divided into the baryton-Martin baritone (light baritone), lyric baritone, Kavalierbariton, Verdi baritone, dramatic baritone, baryton-noble baritone, and the bass-baritone. The first use of the term "baritone" emerged as baritonans, late in the 15th century,  usually in French sacred polyphonic music. At this early stage it was frequently used as the lowest of the voices (including the bass), but in 17th-century Italy the term was all-encompassing and used to describe the average male choral voice. 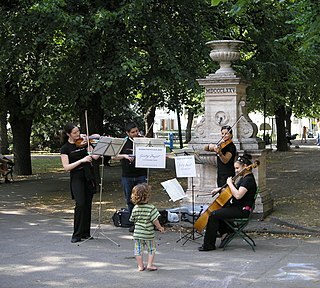 Religious music is music performed or composed for religious use or through religious influence. Ritual music is music, sacred or not, performed or composed for or as ritual. In music, polyphony is one type of musical texture, where a texture is, generally speaking, the way that melodic, rhythmic, and harmonic aspects of a musical composition are combined to shape the overall sound and quality of the work. In particular, polyphony consists of two or more simultaneous lines of independent melody, as opposed to a musical texture with just one voice, monophony, or a texture with one dominant melodic voice accompanied by chords, which is called homophony. George FridericHandel was a German, later British, Baroque composer who spent the bulk of his career in London, becoming well-known for his operas, oratorios, anthems, and organ concertos. 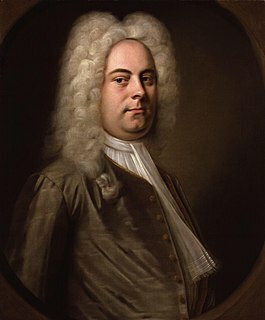 Handel received important training in Halle-upon-Saale and worked as a composer in Hamburg and Italy before settling in London in 1712; he became a naturalised British subject in 1727. He was strongly influenced both by the great composers of the Italian Baroque and by the middle-German polyphonic choral tradition. 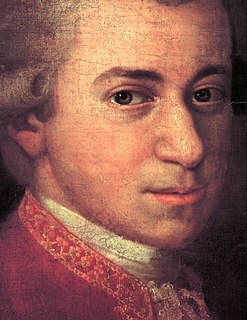 Wolfgang Amadeus Mozart, baptised as Johannes Chrysostomus Wolfgangus Theophilus Mozart, was a prolific and influential composer of the classical era. Filippo Galli was an Italian opera singer who began his career as a tenor in 1801 but went on to become one of the most acclaimed basses of the bel canto era, with a voice known for its wide range, extreme agility, and expressivity, and a remarkable gift for acting. Jean-François Hennekindt, also known as Giovanni Inchindi was a Belgian opera singer born in Bruges who began his career as a tenor but went on to become the one of the premier baritones in France and abroad, with a voice known for its ease in both low and high passages and adaptability to different kinds of roles. Henri-Bernard Dabadie was a French baritone, particularly associated with Rossini and Auber roles. The bel canto style of vocalism which arose in Italy in the early 19th century supplanted the castrato-dominated opera seria of the previous century. It led to the baritone being viewed as a separate voice category from the bass. Traditionally, basses in operas had been cast as authority figures such as a king or high priest; but with the advent of the more fluid baritone voice, the roles allotted by composers to lower male voices expanded in the direction of trusted companions or even romantic leads—normally the province of tenors. More often than not, however, baritones found themselves portraying villains. Bel canto —with several similar constructions —is a term with several meanings that relate to Italian singing. A castrato is a type of classical male singing voice equivalent to that of a soprano, mezzo-soprano, or contralto. The voice is produced by castration of the singer before puberty, or it occurs in one who, due to an endocrinological condition, never reaches sexual maturity. Opera seria is an Italian musical term which refers to the noble and "serious" style of Italian opera that predominated in Europe from the 1710s to about 1770. The term itself was rarely used at the time and only attained common usage once opera seria was becoming unfashionable and beginning to be viewed as a historical genre. The popular rival to opera seria was opera buffa, the 'comic' opera that took its cue from the improvisatory commedia dell'arte. the young Giuseppe Verdi ( Nabucco , Ernani , Macbeth , Rigoletto , La traviata , Il trovatore ). Gioachino Antonio Rossini was an Italian composer who gained fame for his 39 operas, although he also wrote many songs, some chamber music and piano pieces, and some sacred music. He set new standards for both comic and serious opera before retiring from large-scale composition while still in his thirties, at the height of his popularity. The Barber of Seville, or The Useless Precaution is an opera buffa in two acts by Gioachino Rossini with an Italian libretto by Cesare Sterbini. The libretto was based on Pierre Beaumarchais's French comedy Le Barbier de Séville (1775). The première of Rossini's opera took place on 20 February 1816 at the Teatro Argentina, Rome, with designs by Angelo Toselli. William Tell is a French-language opera in four acts by Italian composer Gioachino Rossini to a libretto by Victor-Joseph Étienne de Jouy and L. F. Bis, based on Friedrich Schiller's play William Tell, which, in turn, drew on the William Tell legend. The opera was Rossini's last, although he lived for nearly 40 more years. Fabio Luisi said that Rossini planned for William Tell to be his last opera even as he composed it. The often-performed overture in four sections features a depiction of a storm and a vivacious finale, the "March of the Swiss Soldiers." The prolific operas of these composers, plus the works of Verdi's maturity, such as Un ballo in maschera , La forza del destino , Don Carlos /Don Carlo, the revised Simon Boccanegra , Aida , Otello and Falstaff , blazed many new and rewarding performance pathways for baritones. Figaro in Il barbiere is often called the first true baritone role. However, Donizetti and Verdi in their vocal writing went on to emphasize the top fifth of the baritone voice, rather than its lower notes—thus generating a more brilliant sound. Further pathways opened up when the musically complex and physically demanding operas of Richard Wagner began to enter the mainstream repertory of the world's opera houses during the second half of the 19th century. The major international baritone of the first half of the 19th century was the Italian Antonio Tamburini (1800–1876). He was a famous Don Giovanni in Mozart's eponymous opera as well as being a Bellini and Donizetti specialist. Commentators praised his voice for its beauty, flexibility and smooth tonal emission, which are the hallmarks of a bel canto singer. Tamburini's range, however, was probably closer to that of a bass-baritone than to that of a modern "Verdi baritone". His French equivalent was Henri-Bernard Dabadie, who was a mainstay of the Paris Opera between 1819 and 1836 and the creator of several major Rossinian baritone roles, including Guillaume Tell. Dabadie sang in Italy, too, where he originated the role of Belcore in L'elisir d'amore in 1832. Among the non-Italian born baritones that were active in the third quarter of the 19th century, Tamburini's mantle as an outstanding exponent of Mozart and Donizetti's music was probably taken up most faithfully by a Belgian, Camille Everardi, who later settled in Russia and taught voice. In France, Paul Barroilhet succeeded Dabadie as the Paris opera's best known baritone. Like Dabadie, he also sang in Italy and created an important Donizetti role: in his case, Alphonse in La favorite (in 1840). Luckily, the gramophone was invented early enough to capture on disc the voices of the top Italian Verdi and Donizetti baritones of the last two decades of the 19th century, whose operatic performances were characterized by considerable re-creative freedom and a high degree of technical finish. They included Mattia Battistini (known as the "King of Baritones"), Giuseppe Kaschmann (born Josip Kašman) who, atypically, sang Wagner's Telramund and Amfortas not in Italian but in German, at the Bayreuth Festival in the 1890s; Giuseppe Campanari; Antonio Magini-Coletti; Mario Ancona (chosen to be the first Silvio in Pagliacci ); and Antonio Scotti, who came to the Met from Europe in 1899 and remained on the roster of singers until 1933. Antonio Pini-Corsi was the standout Italian buffo baritone in the period between about 1880 and World War I, reveling in comic opera roles by Rossini, Donizetti and Paer, among others. In 1893, he created the part of Ford in Verdi's last opera, Falstaff. Notable among their contemporaries were the cultured and technically adroit French baritones Jean Lassalle (hailed as the most accomplished baritone of his generation), Victor Maurel (the creator of Verdi's Iago, Falstaff and Tonio in Leoncavallo's Pagliacci), Paul Lhérie (the first Posa in the revised, Italian-language version of Don Carlos), and Maurice Renaud (a singing actor of the first magnitude). Lassalle, Maurel and Renaud enjoyed superlative careers on either side of the Atlantic and left a valuable legacy of recordings. Five other significant Francophone baritones who recorded, too, during the early days of the gramophone/phonograph were Léon Melchissédec and Jean Noté of the Paris Opera and Gabriel Soulacroix, Henry Albers and Charles Gilibert of the Opéra-Comique. The Quaker baritone David Bispham, who sang in London and New York between 1891 and 1903, was the leading American male singer of this generation. He also recorded for the gramophone. There are 19th-century references in the musical literature to certain baritone subtypes. These include the light and tenorish baryton-Martin, named after French singer Jean-Blaise Martin (1768/69–1837),  and the deeper, more powerful Heldenbariton (today's bass-baritone) of Wagnerian opera. Nineteenth-century operettas became the preserve of lightweight baritone voices. They were given comic parts in the tradition of the previous century's comic bass by Gilbert and Sullivan in many of their productions. This did not prevent the French master of operetta, Jacques Offenbach, from assigning the villain's role in The Tales of Hoffmann to a big-voiced baritone for the sake of dramatic effect. Other 19th-century French composers like Meyerbeer, Hector Berlioz, Camille Saint-Saëns, Georges Bizet and Jules Massenet wrote attractive parts for baritones, too. These included Nelusko in L'Africaine (Meyerbeer's last opera), Mephistopheles in La damnation de Faust (a role also sung by basses), the Priest of Dagon in Samson and Delilah , Escamillo in Carmen , Zurga in Les pêcheurs de perles , Lescaut in Manon , Athanael in Thaïs and Herod in Hérodiade . Russian composers included substantial baritone parts in their operas. Witness the title roles in Peter Tchaikovsky's Eugene Onegin (which received its first production in 1879) and Alexander Borodin's Prince Igor (1890). Mozart continued to be sung throughout the 19th century although, generally speaking, his operas were not revered to the same extent that they are today by music critics and audiences. Back then, baritones rather than high basses normally sang Don Giovanni – arguably Mozart's greatest male operatic creation. Famous Dons of the late 19th and early 20th centuries included Scotti and Maurel, as well as Portugal's Francisco De Andrade and Sweden's John Forsell. The dawn of the 20th century opened up more opportunities for baritones than ever before as a taste for strenuously exciting vocalism and lurid, "slice-of-life" operatic plots took hold in Italy and spread elsewhere. The most prominent verismo baritones included such major singers in Europe and America as the polished Giuseppe De Luca (the first Sharpless in Madama Butterfly ), Mario Sammarco (the first Gerard in Andrea Chénier ), Eugenio Giraldoni (the first Scarpia in Tosca ), Pasquale Amato (the first Rance in La fanciulla del West ), Riccardo Stracciari (noted for his richly attractive timbre) and Domenico Viglione Borghese, whose voice was exceeded in size only by that of the lion-voiced Titta Ruffo. Ruffo was the most commanding Italian baritone of his era or, arguably, any other era. He was at his prime from the early 1900s to the early 1920s and enjoyed success in Italy, England and America (in Chicago and later at the Met). Between them, these baritones established the echt performance style for baritones undertaking roles in verismo operas. The chief verismo composers were Giacomo Puccini, Ruggero Leoncavallo, Pietro Mascagni, Alberto Franchetti, Umberto Giordano and Francesco Cilea. Verdi's works continued to remain popular, however, with audiences in Italy, the Spanish-speaking countries, the United States and the United Kingdom, and in Germany, where there was a major Verdi revival in Berlin between the wars. Characteristic of the Wagnerian baritones of the 20th century was a general progression of individual singers from higher-lying baritone parts to lower-pitched ones. This was the case with Germany's Hans Hotter. Hotter made his debut in 1929. As a young singer he appeared in Verdi and created the Commandant in Richard Strauss's Friedenstag and Olivier in Capriccio . By the 1950s, however, he was being hailed as the top Wagnerian bass-baritone in the world. His Wotan was especially praised by critics for its musicianship. Other major Wagnerian baritones have included Hotter's predecessors Leopold Demuth, Anton van Rooy, Hermann Weil, Clarence Whitehill, Friedrich Schorr, Rudolf Bockelmann and Hans Hermann Nissen. Demuth, van Rooy, Weil and Whitehill were at their peak in the late 19th and early 20th centuries while Schorr, Bockelmann and Nissen were stars of the 1920s and 1930s. In addition to their heavyweight Wagnerian cousins, there was a plethora of baritones with more lyrical voices active in Germany and Austria during the period between the outbreak of WW1 in 1914 and the end of WW2 in 1945. Among them were Joseph Schwarz [ de ], Heinrich Schlusnus, Herbert Janssen, Willi Domgraf-Fassbaender, Karl Schmitt-Walter and Gerhard Hüsch. Their abundant inter-war Italian counterparts included, among others, Carlo Galeffi, Giuseppe Danise, Enrico Molinari, Umberto Urbano, Cesare Formichi, Luigi Montesanto, Apollo Granforte, Benvenuto Franci, Renato Zanelli (who switched to tenor roles in 1924), Mario Basiola, Giovanni Inghilleri, Carlo Morelli (the Chilean-born younger brother of Renato Zanelli) and Carlo Tagliabue, who retired as late as 1958. One of the best known Italian Verdi baritones of the 1920s and 1930s, Mariano Stabile, sang Iago and Rigoletto and Falstaff (at La Scala) under the baton of Arturo Toscanini. Stabile also appeared in London, Chicago and Salzburg. He was noted more for his histrionic skills than for his voice, however. Stabile was followed by Tito Gobbi, a versatile singing actor capable of vivid comic and tragic performances during the years of his prime in the 1940s, 1950s and early 1960s. He learned more than 100 roles in his lifetime and was mostly known for his roles in Verdi and Puccini operas, including appearances as Scarpia opposite soprano Maria Callas as Tosca at Covent Garden. The first famous American baritone appeared in the 1900s. It was the American-born but Paris-based Charles W. Clark who sang Italian, French and German composers. An outstanding group of virile-voiced American baritones appeared then in the 1920s. The younger members of this group were still active as recently as the late 1970s. Outstanding among its members were the Met-based Verdians Lawrence Tibbett (a compelling, rich-voiced singing actor), Richard Bonelli, John Charles Thomas, Robert Weede, Leonard Warren and Robert Merrill. They sang French opera, too, as did the American-born but also Paris-based baritone of the 1920s, and 1930s Arthur Endreze. Also to be found singing Verdi roles at the Met, Covent Garden and the Vienna Opera during the late 1930s and the 1940s was the big-voiced Hungarian baritone, Sandor (Alexander) Sved. The leading Verdi baritones of the 1970s and 1980s were probably Italy's Renato Bruson and Piero Cappuccilli, America's Sherrill Milnes, Sweden's Ingvar Wixell and the Romanian baritone Nicolae Herlea. At the same time, Britain's Sir Thomas Allen was considered to be the most versatile baritone of his generation in regards to repertoire, which ranged from Mozart to Verdi and lighter Wagner roles, through French and Russian opera, to modern English music. Another British baritone, Norman Bailey, established himself internationally as a memorable Wotan and Hans Sachs. He had, however, a distinguished if lighter-voiced Wagnerian rival during the 1960s and 1970s in the person of Thomas Stewart of America. Other notable post-War Wagnerian baritones have been Canada's George London, Germany's Hermann Uhde and, more recently, America's James Morris. Among the late-20th-century baritones noted throughout the opera world for their Verdi performances was Vladimir Chernov, who emerged from the former USSR to sing at the Met. Chernov followed in the footsteps of such richly endowed East European baritones as Ippolit Pryanishnikov (a favorite of Tchaikovski's), Joachim Tartakov (an Everardi pupil), Oskar Kamionsky (an exceptional bel canto singer nicknamed the "Russian Battistini"), Waclaw Brzezinski (known as the "Polish Battistini"), Georges Baklanoff (a powerful singing actor), and, during a career lasting from 1935 to 1966, the Bolshoi's Pavel Lisitsian. Dmitri Hvorostovsky and Sergei Leiferkus are two Russian baritones of the modern era who appear regularly in the West. Like Lisitsian, they sing Verdi and the works of their native composers, including Tchaikovsky's Eugene Onegin and The Queen of Spades . In the realm of French song, the bass-baritone José van Dam and the lighter-voiced Gérard Souzay have been notable. Souzay's repertoire extended from the Baroque works of Jean-Baptiste Lully to 20th-century composers such as Francis Poulenc. Pierre Bernac, Souzay's teacher, was an interpreter of Poulenc's songs in the previous generation. Older baritones identified with this style include France's Dinh Gilly and Charles Panzéra and Australia's John Brownlee. Another Australian, Peter Dawson, made a small but precious legacy of benchmark Handel recordings during the 1920s and 1930s. (Dawson, incidentally, acquired his outstanding Handelian technique from Sir Charles Santley.) Yet another Australian baritone of distinction between the wars was Harold Williams, who was based in the United Kingdom. Important British-born baritones of the 1930s and 1940s were Dennis Noble, who sang Italian and English operatic roles, and the Mozartian Roy Henderson. Both appeared often at Covent Garden. Prior to World War II, Germany's Heinrich Schlusnus, Gerhard Hüsch and Herbert Janssen were celebrated for their beautifully sung lieder recitals as well as for their mellifluous operatic performances in Verdi, Mozart, and Wagner respectively. After the war's conclusion, Hermann Prey and Dietrich Fischer-Dieskau appeared on the scene to take their place. In addition to his interpretations of lieder and the works of Mozart, Prey sang in Strauss operas and tackled lighter Wagner roles such as Wolfram or Beckmesser. Fischer-Dieskau sang parts in 'fringe' operas by the likes of Ferruccio Busoni and Paul Hindemith as well as appearing in standard works by Verdi and Wagner. He earned his principal renown, however, as a lieder singer. Talented German and Austrian lieder singers of a younger generation include Olaf Bär, Matthias Goerne, Wolfgang Holzmair (who also performs regularly in opera), Thomas Quasthoff, Stephan Genz [ de ] and Christian Gerhaher. Well-known non-Germanic baritones of recent times have included the Italians Giorgio Zancanaro and Leo Nucci, the Frenchman François le Roux, the Canadians Gerald Finley and James Westman and the versatile American Thomas Hampson, his compatriot Nathan Gunn and the Englishman Simon Keenlyside. The vocal range of the baritone lies between the bass and the tenor voice types. The baritone vocal range is usually between the second G below middle C (G2) and the G above middle C (G4). Within the baritone voice type category are seven generally recognized subcategories: baryton-Martin baritone (light baritone), lyric baritone, Kavalierbariton, Verdi baritone, dramatic baritone, baryton-noble baritone, and the bass-baritone. The baryton-Martin baritone (sometimes referred to as light baritone)  lacks the lower G2–B2 range a heavier baritone is capable of, and has a lighter, almost tenor-like quality. Its common range is from C3 to the B above middle C (C3 to B4). Generally seen only in French repertoire, this Fach was named after the French singer Jean-Blaise Martin. Associated with the rise of the baritone in the 19th century, Martin was well known for his fondness for falsetto singing, and the designation 'baryton Martin' has been used (Faure, 1886) to separate his voice from the 'Verdi Baritone', which carried the chest register further into the upper range. It is important to note that this voice type shares the primo passaggio and secondo passaggio with the Dramatic Tenor and Heldentenor (C4 and F4 respectively), and hence could be trained as a tenor. The lyric baritone is a sweeter, milder sounding baritone voice, lacking in harshness; lighter and perhaps mellower than the dramatic baritone with a higher tessitura. Its common range is from the A below C3 to the G above middle C (A2 to G4). It is typically assigned to comic roles. The Kavalierbariton baritone is a metallic voice that can sing both lyric and dramatic phrases, a manly, noble baritonal color. Its common range is from the A below low C to the G above middle C (A2 to G4). Not quite as powerful as the Verdi baritone who is expected to have a powerful appearance on stage, perhaps muscular or physically large. The Verdi baritone is a more specialized voice category and a subset of the Dramatic Baritone. Its common range is from the G below low C to the B♭ above middle C (G2 to B♭4). A Verdi baritone refers to a voice capable of singing consistently and with ease in the highest part of the baritone range. It will generally have a lot of squillo, or "ping". The dramatic baritone is voice that is richer, fuller, and sometimes harsher than a lyric baritone and with a darker quality. 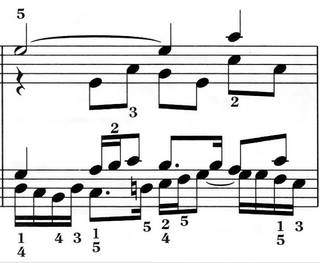 Its common range is from the G half an octave below low C to the G above middle C (G2 to G4). The dramatic baritone category corresponds roughly to the Heldenbariton in the German Fach system except that some Verdi baritone roles are not included. The primo passaggio and secondo passaggio of both the Verdi and dramatic baritone are at B♭ and E♭ respectively, hence the differentiation is based more heavily on timbre and tessitura. Accordingly, roles that fall into this category tend to have a slightly lower tessitura than typical Verdi baritone roles, only rising above an F at the moments of greatest intensity. Many of the Puccini roles fall into this category. However, it is important to note, that for all intents and purposes, a Verdi Baritone is simply a Dramatic Baritone with greater ease in the upper tessitura (Verdi Baritone roles center approximately a minor third higher). Because the Verdi Baritone is sometimes seen as subset of the Dramatic Baritone, some singers perform roles from both sets of repertoire. Similarly, the lower tessitura of these roles allow them frequently to be sung by bass-baritones. The baryton-noble baritone is French for "noble baritone" and describes a part that requires a noble bearing, smooth vocalisation and forceful declamation, all in perfect balance. This category originated in the Paris Opera, but it greatly influenced Verdi (Don Carlo in Ernani and La forza del destino ; Count Luna in Il trovatore ; Simon Boccanegra ) and Wagner as well (Wotan; Amfortas). Similar to the Kavalierbariton. The lyric bass-baritone is a higher bass-baritone. Its common range is from about the F below low C to the F♯ above middle C (F2 to F♯4). Some bass-baritones are baritones, like Friedrich Schorr, George London, James Morris and Bryn Terfel. The following are more often performed by lower baritones as opposed to high basses. The dramatic bass-baritone is a lower baritone (a heldenbaritone ). Its common range is from about the F below low C to the F♯ above middle C (F2 to F♯4). In barbershop music, the baritone part sings in a similar range to the Lead (singing the melody) however usually singing lower than the lead. A barbershop baritone has a specific and specialized role in the formation of the four-part harmony that characterizes the style. The baritone singer is often the one required to support or "fill" the bass sound (typically by singing the fifth above the bass root) and to complete a chord. On the other hand, the baritone will occasionally find himself harmonizing above the melody, which calls for a tenor-like quality. Because the baritone fills the chord, the part is often not very melodic. Tito Gobbi was an Italian operatic baritone with an international reputation. Spinto is a vocal term used to characterize a soprano or tenor voice of a weight between lyric and dramatic that is capable of handling large musical climaxes in opera at moderate intervals. A Heldenbaritone, also known as dramatic bass-baritone or hoher bass , is an opera singer, a German dramatic baritone. Ramón Vinay was a famous Chilean operatic tenor with a powerful, dramatic voice. He is probably best remembered for his appearances in the title role of Giuseppe Verdi's tragic opera Otello. Antonio Scotti was an Italian baritone. He was a principal artist of the New York Metropolitan Opera for more than 33 seasons, but also sang with great success at London's Royal Opera House, Covent Garden, and Milan's La Scala. Giuseppe Taddei was an Italian lyric baritone, who performed mostly the operas of Wolfgang Amadeus Mozart and Giuseppe Verdi. Rolando Panerai is an Italian baritone, particularly associated with the Italian repertory. He was born in Campi Bisenzio, near Florence, Italy and studied with Frazzi in Florence and Armani and Giulia Tess in Milan. Panerai made his stage debut in 1947 in Naples at the Teatro di San Carlo as the pharaon in Rossini's Mosè in Egitto. Other debuts, both in 1951, were as Simon Boccanegra in Simon Boccanegra in Bergamo and as Sharpless in Madama Butterfly at La Scala in Milan. He sang in many rarely performed Verdi operas on radio broadcast for RAI in 1951, such as Giovanna d'Arco, La battaglia di Legnano, and Aroldo. Later roles included most of the great Verdi baritone roles, particularly the title character in Rigoletto, The Count of Luna in Il trovatore, Giorgio Germont in La traviata, Marquis of Posa in Don Carlos, Amonasro in Aida. Giuseppe Valdengo was an Italian operatic baritone. Opera News said that, "Although his timbre lacked the innate beauty of some of his baritone contemporaries, Valdengo's performances were invariably satisfying — bold and assured in attack but scrupulously musical." Giuseppe Cremonini was an Italian operatic tenor who had a prominent opera career in Europe and the United States during the last decade of the nineteenth century. Antonio Magini-Coletti was a leading Italian baritone who had a prolific career in Europe and the United States during the late 19th century and the early part of the 20th century. A versatile artist, he appeared in several opera world premieres but was particularly associated with the works of Giuseppe Verdi, Richard Wagner and the verismo composers. He was also an accomplished exponent of the bel canto repertoire. Giuliano Bernardi was an Italian operatic baritone and tenor. Johann Nepomuk Beck was a Hungarian operatic baritone. He possessed a flexible and strong voice that was particularly suited to the French and Italian operatic repertoire. Beginning in 1853, he sang for more than thirty years at the Hofoper, particularly excelling in works by Giacomo Meyerbeer, Wolfgang Amadeus Mozart, and Giuseppe Verdi. He notably portrayed the role of King Solomon in the world première of Karl Goldmark’s Die Königin von Saba in 1875. A bass ( BAYSS) is a type of classical male singing voice and has the lowest vocal range of all voice types. According to The New Grove Dictionary of Opera, a bass is typically classified as having a vocal range extending from around the second E below middle C to the E above middle C (i.e., E2–E4). Its tessitura, or comfortable range, is normally defined by the outermost lines of the bass clef. Categories of bass voices vary according to national style and classification system. Italians favour subdividing basses into the basso cantante (singing bass), basso buffo ("funny" bass), or the dramatic basso profondo (low bass). The American system identifies the bass-baritone, comic bass, lyric bass, and dramatic bass. The German fach system offers further distinctions: Spielbass (Bassbuffo), Schwerer Spielbass (Schwerer Bassbuffo), Charakterbass (Bassbariton), and Seriöser Bass. These classification systems can overlap. Rare is the performer who embodies a single fach without also touching repertoire from another category. Martin Babjak is a Slovak operatic baritone. The winner of several international singing competitions, he has been a principal singer at the Slovak National Theatre since 1989. He has also appeared as a guest artist at opera houses in Germany, Austria, Switzerland, Spain, France, Norway, Egypt, Canada, the United States, Japan, and the Czech Republic. He has particularly excelled in portraying roles from the operas of Wolfgang Amadeus Mozart, Giacomo Puccini, and Giuseppe Verdi. Lodovico Graziani was an Italian operatic tenor. According to John Warrack and Ewan West, writing in The Oxford Dictionary of Opera: "His voice was clear and vibrant, but he lacked dramatic gifts." He is now mainly remembered for having created the role of Alfredo Germont in the world premiere of Giuseppe Verdi's La traviata in 1853. ↑ Or barytone, although this spelling is essentially archaic and little-used since the 1920s. 1 2 Jander, Owen; Steane, J. B.; Forbes, Elizabeth; Harris, Ellen T.; Waldman, Gerald (2001). "Baritone (i)". In Sadie, Stanley; Tyrrell, John. The New Grove Dictionary of Music and Musicians (2nd ed.). Macmillan. ISBN 0-333-60800-3. . This work is the main reference for the history section of this article. ↑ Larousse, Pierre (1865). 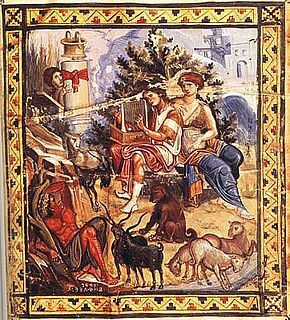 Grand dictionnaire universel du XIXe siècle: Français, historique, géographique, mythologique, bibliographique, littéraire, artistique, scientifique, etc., etc. Bavarian State Library: Larousse & Boyer. p. 289. Laura Macy, Ed. The Grove Book of Opera Singers, Harold Rosenthal/Julian Budden, entry "Coletti, Filippo"
↑ Moss, Charles K. "Franz Peter Schubert: Master of Song". Archived from the original on February 8, 2008. Retrieved July 13, 2010. ↑ McKinney, James (1994). The Diagnosis and Correction of Vocal Faults. Genovex Music Group. ISBN 978-1-56593-940-0. ↑ Stephen Thomas Erlewine, "Jones, Tom", Popular Artist Biographies, All Media Guide. ↑ Stephen Thomas Erlewine, "Biography: Michael McDonald", All Media Guide. ↑ Stars mourn Four Tops star Stubbs, BBC News, 28 October 2008. Faure, Jean-Baptiste (1886) La voix et le chant: traité pratique, Heugel, published in English translation as The Voice and Singing (Francis Keeping and Roberta Prada, translators), Vox Mentor, 2005. Matheopoulos, H. (1989) Bravo – The World's Great Male Singers Discuss Their Roles, Victor Gollancz Ltd.
Bruder, Harold, Liner Notes, Maurice Renaud: The Complete Gramophone Recordings 1901–1908, Marston Records, 1997. (Discusses Renaud and many of his baritone contemporaries as well as the stylistic change in operatic singing at the turn of the 20th century.) Retrieved 4 March 2008. Wikisource has the text of the 1911 Encyclopædia Britannica article Barytone .